Post Production of Theri is in full swing and the expectation of the Theri's album is high as it is being GV's 50th film as a music director. 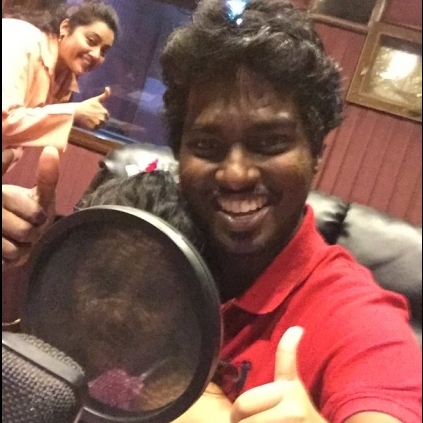 GV Prakash has tweeted a two liner from Theri's album and it sounds to be an interesting number too. "#jithujilladi mitta killadi mama daaladikkum colouru kannadi !!! Thoppiyila singatha paaren, tholula stara vaangum police u kaaran #GV50"
"Thinking over a single soon #jithujilladi #GV50 #theri"
"Nainika has finished dubbing no words theriiiii #Theri"
As Theri is in its final stage, we can expect more exciting news till its release! People looking for online information on Atlee, GV Prakash, Theri, Vijay will find this news story useful.